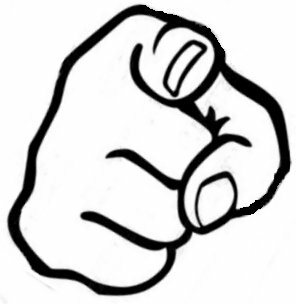 The International Occultation Timing Association (IOTA) wants you for the most exciting observations you can make – occultations ! 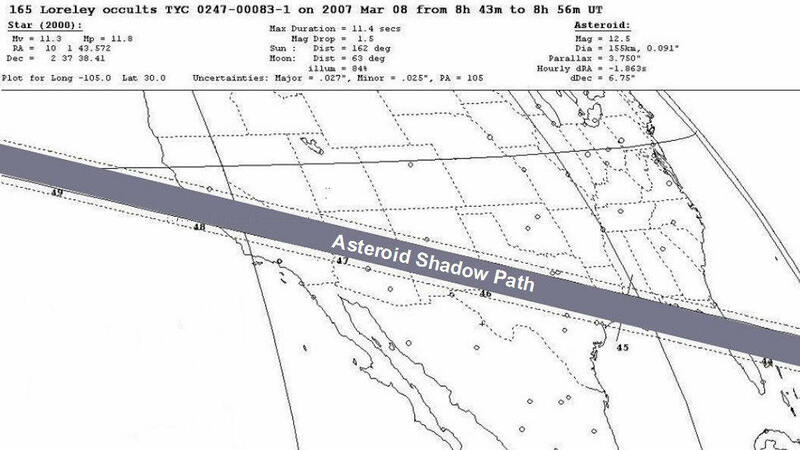 Never before has there been an opportunity to contribute to the body of scientific knowledge about the lunar limb profile and the size of shape of asteroids plus a host of other occultation phenomena. Occultations occur when one celestial body passes in front of another temporarily blocking its light. The observation of these "eclipse" events provides important information on the celestial body responsible for the eclipse. 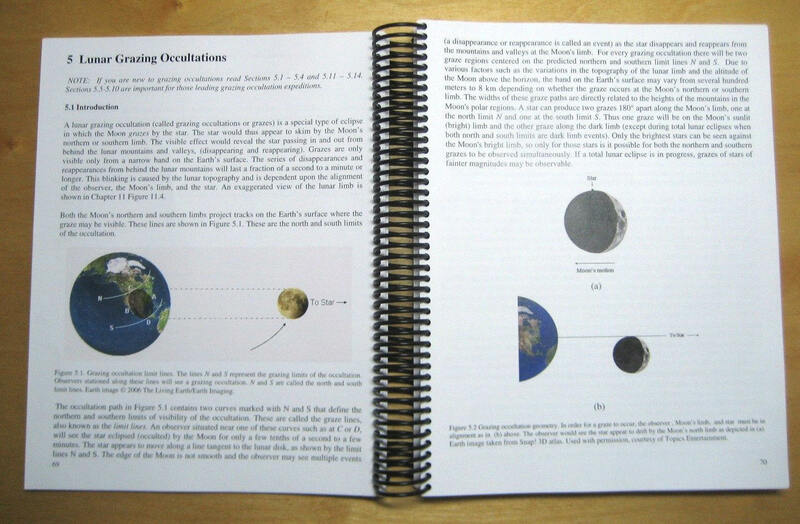 Chasing the Shadow: The IOTA Occultation Observer’s Manual is the only book of its kind that shows observers how to get started in occultations, what equipment to use and how to predict, make, and report valuable occultation observations. IOTA is here to assist you in this exciting field. All astronomers, both amateur and professional, can make occultation observations. This book has all the necessary information one needs to begin a successful occultation program. Whether you are a novice observer, or an advanced observer with a video system, you can assist in the search for asteroidal moons, help discover new double stars and help determine the size of the Sun during solar eclipses. Written by IOTA’s most experienced astronomers, this is the only book you’ll need for occultation observations of stars by the Moon, by asteroids, and other solar system bodies. It includes an extensive set of Appendices, and over 120 figures and diagrams, 378 pages. 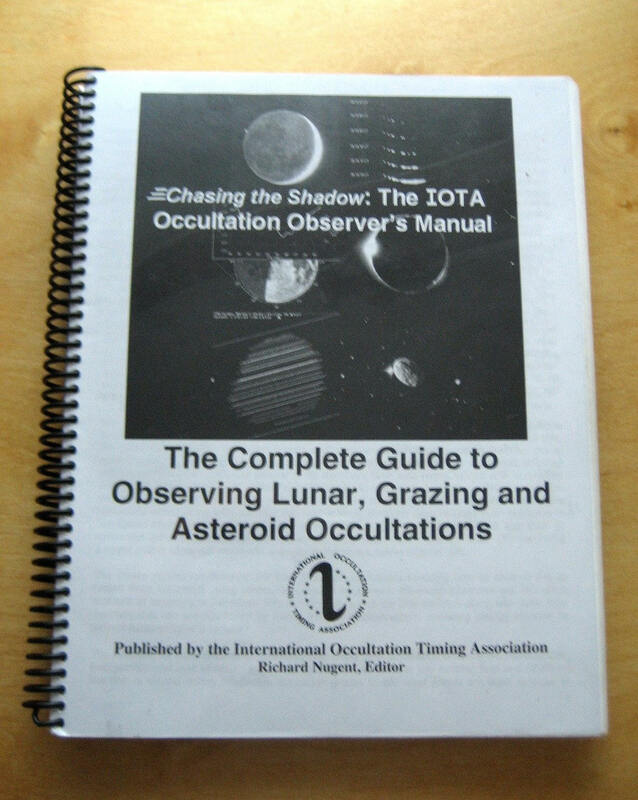 Chasing the Shadow: The IOTA Occultation Observer’s Manual is currently online FOR FREE as an e-book. New Free e-book on Occultations !! format here Size: 11 Meg. 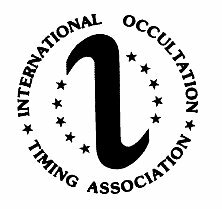 The International Occultation Timing Association is the primary scientific organization promoting the observation, prediction and analysis of lunar and asteroid occultations and solar eclipses. IOTA astronomers have organized teams of observers worldwide to travel to observe grazing occultations of stars by the Moon, eclipses of stars by asteroids and solar eclipses since 1962.